My house is shaped funny. This results WiFi dead spots. This weekend, we moved a bunch of furniture around to give two of my kids their own room, rather than sharing. Doing something like that always involves alot of work you didn’t expect and plenty of dust in the air which made my left eye blood red. After moving the office downstairs, I realized that our dead spot problem was now blocking computers from the internet completely. I had to find a solution for 3 floors, 2 TVs and about 10 other roaming devices. 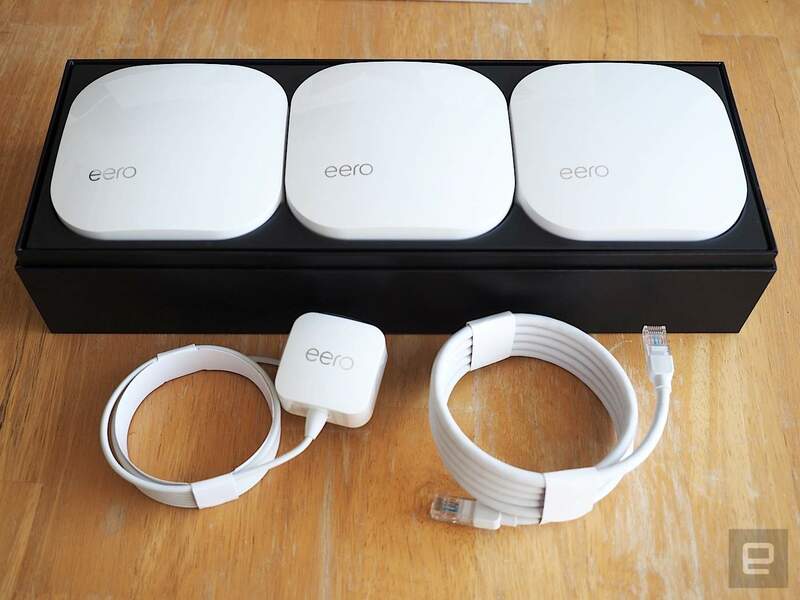 Previously, I had tried WiFi extenders, but they always seemed to causing problems. Setting them up always was finicky and the speed was terrible. Also, I had a system using PowerLine adapters which was expensive and somewhat limited. I actually started researching this new technique when Google announced their own offering which is launching in December. I was going to wait, but circumstances intervened with the move. The concept is called Mesh WiFi. You buy three pucks and plug them in. You install an app on your phone and control everything from there. I have used Web applications to control routers for almost 20 years. This was a very new concept for me. I can’t emphasize enough how easy the whole setup was. Installing the app was obviously simple. Registration took virtually no time. It recognized the pucks below quickly. There was basically nothing to do. It just worked. The app did a speed test and matched roughly the speed I wanted. There were no dead spots. I got rid of my router and got rid of the powerline adapters. Now, we are 100% WiFi. We have officially cut the ethernet cord. It’s expensive. The three pucks cost $400 + tax. However, the amount of time this has saved me is worth it. I was considering returning, but if the speeds keep up. I think they earned the money. 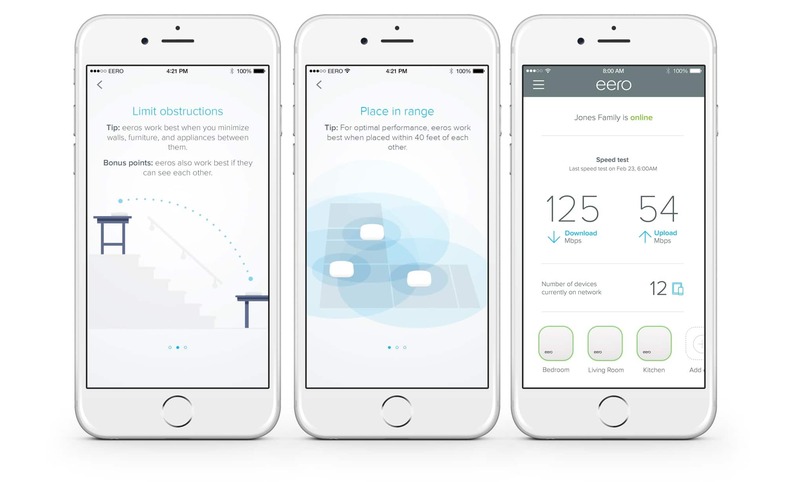 Nice work Eero. Note: I didn’t try Netgear Oobi or Luma, but they are basically the same idea.